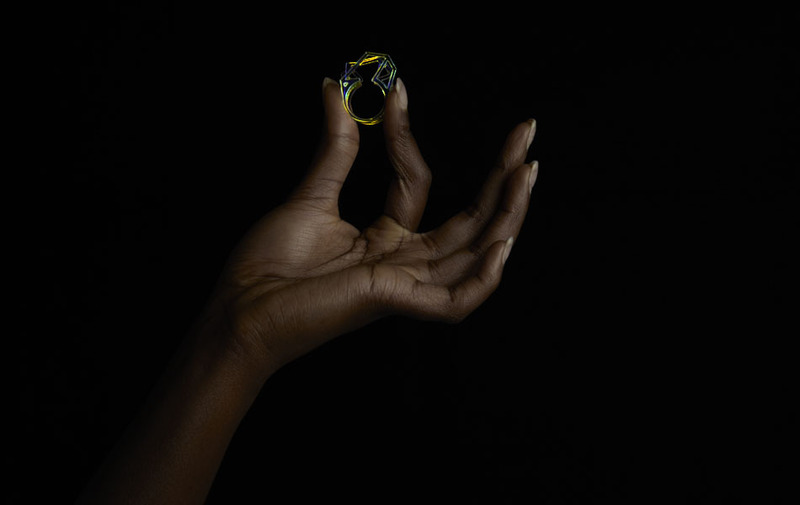 Solitaire II shares the form finding process of Solitiare I. 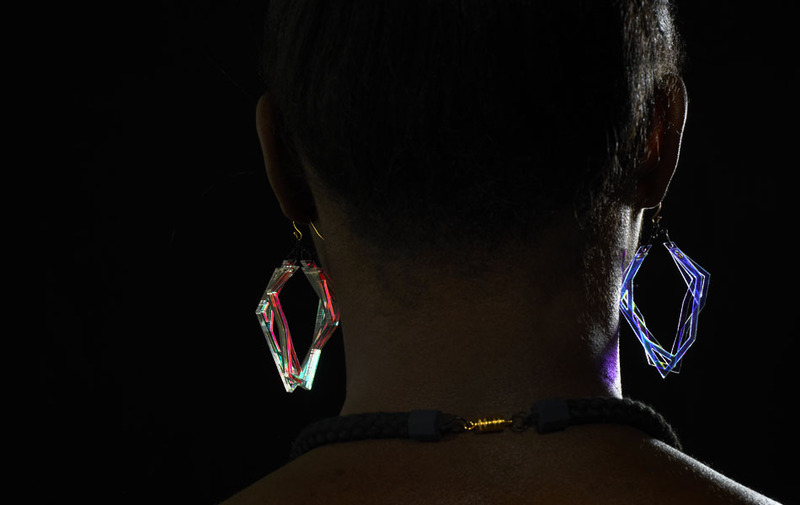 These laser cut pieces of jewelry explore the relation between light and movement, between colour and space. The focus in the Solitaire II collection is the use of polychromatic acrylic glass which, in different light situations, changes its apperance. 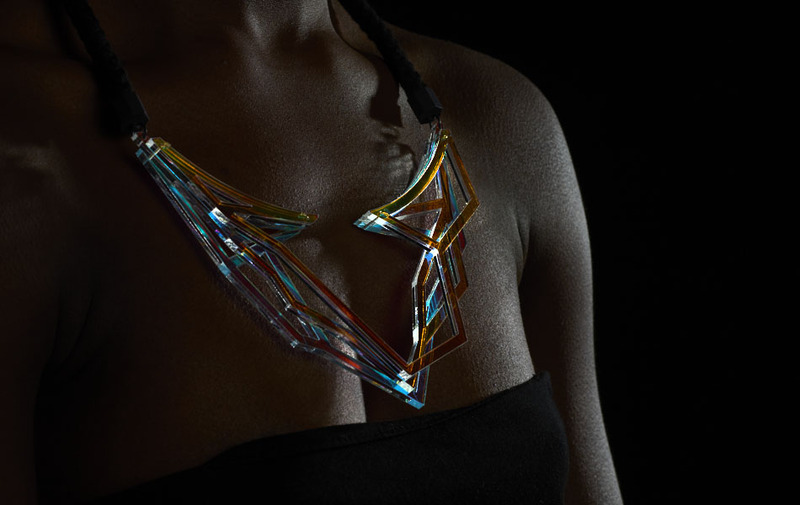 Different layers of material interact with each other, the person wearing the jewelry and the space around. Spectacolous pieces uniting reflections, transparency and rays – and being produced by rays of light themselves.